I have a CRAY-ZEE announcement to make! It's kinda really WAY out there... even for me. Grab a cup of coffee and sit for a spell... you won't believe what I have to share with you. With the twisted easel card and may never make any type of other card ever again! Oh. You figured that out by yourself already. Hmmmm... well... then... let me tell you about my other CRAY-ZEE announcement! STARTED MY OWN CHALLENGE BLOG! Sorry... didn't meant to scream but I'm just so excited! Can you believe it? Cause I can't! It's been done! I've chewed off more than I can chew and I will have to see how this all pans out before I throw in the towel cause my momma didn't raise no quitter! Its official launch date is October 1st, Wednesday. It's called Inspiration Destination. There's nothing going on yet... it's all behind the scene doings at the moment. I'm still working on putting a Design Team together. I've stolen almost an entire team already... haha... and added a few of my own and looking for more. I have sponsors lined up as well for some great prizes! I'm just so freaking excited! 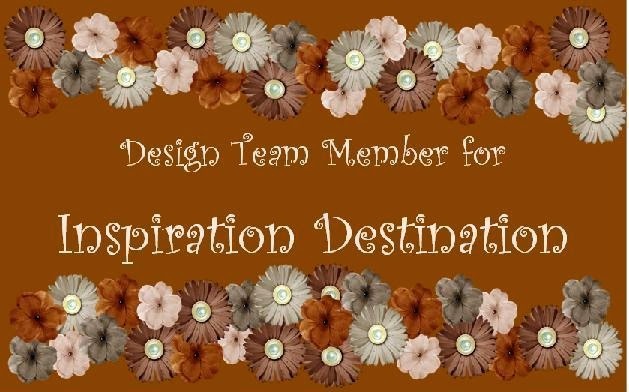 Be sure to share my news with all your crafty friends who like to play along in challenges! By the way... I'm on LOTS new meds... but I really don't think THAT has anything to do with THIS!